Photographer Danika Lee captures a moment of creation taking place independent on the fact that she has eyes and a camera to capture it. 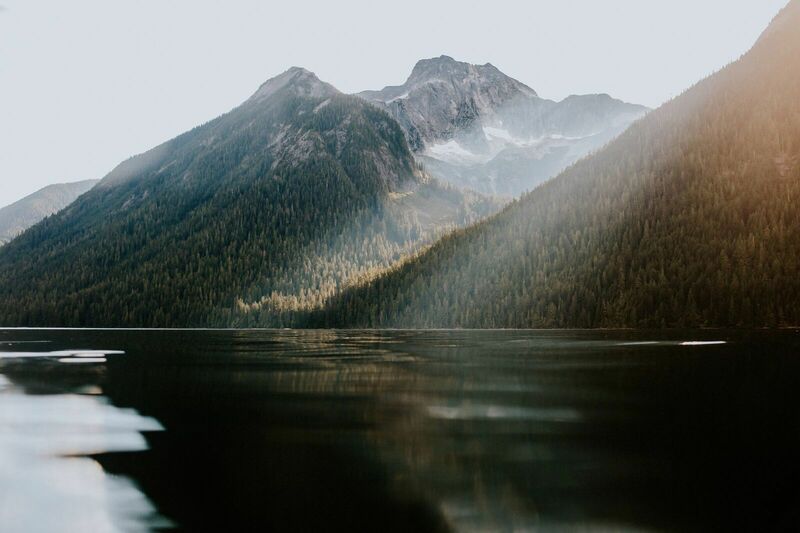 There is an awe that comes when we think on the fact that a moment like this--this white light, this calm water, this mountain scape--happens whether we are in the place to see it or not. It’s the beauty of Creation that sings a song of praise in any way it knows how. It may remind us of Psalm 96: “Sing to the Lord a new song; sing to the Lord, all the earth….Let all creation rejoice before the Lord.” The light shines, the water flows, the mountains stand. There is movement and there is stillness; all is glorifying to God because each is fulfilling its created purpose.